What a loss and just before Easter. Last edited by Chipper; 04-15-2019 at 12:14 PM. I'm not catholic, but it was a beautiful piece of architecture. A great historical loss. only to burn uncontrollably now, sad! I have been in it too. Terrible loss historically,architecturally, religiously. My wife and were planing a trip to Paris in the near future. Guess I can scratch Notre Dame off the list. 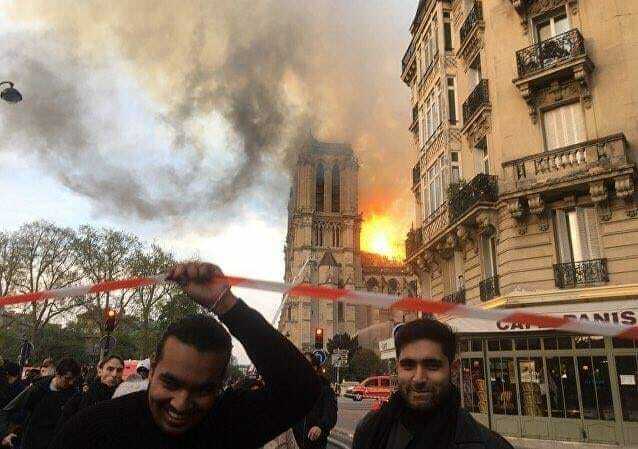 Please understand I'm NOT second guessing the Paris Fire Fighters but I wonder why they were not able to stop the fire from spreading? The Drudge Report had this article below about a failed 2016 ISIS attack on Notre Dame Cathedral. I have been to that church several times, It was definitely a work of art. Really a shame to see it gutted like that. I am sure it will be restored to its former glory. A lot of the European churches and castles that stood for centuries were decimated during WWII have been rebuilt to look as they were before the war. Went to Paris several years ago. I am not religiuos, but-- what an iconic bldg. Can it ever be rebuilt to look as grand? Are there craftsmen today like that? On the OTHER SIDE not everyone is sad.....Just Saying the obvious! Slippy, Camel923, Denton and 1 others like this. Bet I can tell you why? ! !